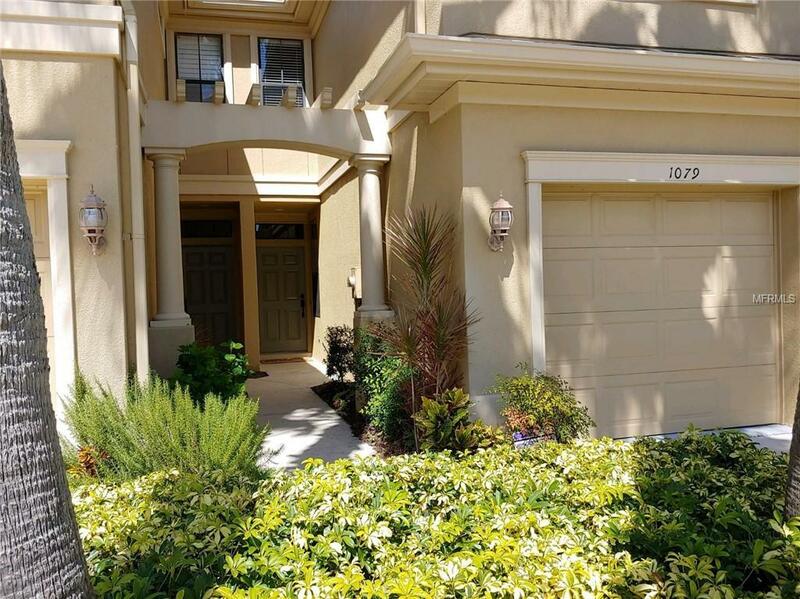 2 bed, 2 1/2 bath townhouse with garage. Freshly painted with high ceilings throughout. Large eat in kitchen with granite counter tops and tall cabinets open to dining room. Downstairs has tile floor, crown molding and half bath. Enclosed back patio with ceiling fan. New carpet throughout upstairs. Spacious master bedroom with full bath and large walk in closet. Additional living space upstairs perfect for media room. Washer and dryer upstairs for easy access. Lots of closet space throughout. Shelves, kayak and bike rack in garage for extra storage. Alarm system. Across from pool. Great location with easy access to Tampa or downtown St. Pete.